Our world is in great need of leadership, and I believe healthy leadership emanates from humility. The effective leaders of tomorrow can be greatly influenced by grandparents who are gently leading their grandchildren and encouraging them, in turn, to lead. When grandchildren are young, their leadership potential is in formation. Allowing them to win in a game or to take a leadership role in a hobby, a learning experience or an outing (appropriate to their age) will help them to develop confidence. Typically, grandchildren will follow their grandparent’s lead, unless they have a type-A personality and comes out of the womb trying to dictate to everyone how life is to be lived. 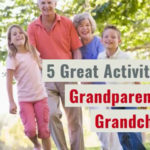 With those grandchildren, grandparents have to be thinking two steps ahead, much like their grandchild’s parent, and this is where a tag-team approach between grandparents and parents is especially helpful. A type-A child can be exhausting work for everybody, but doing the work required will produce incredible long-term dividends. 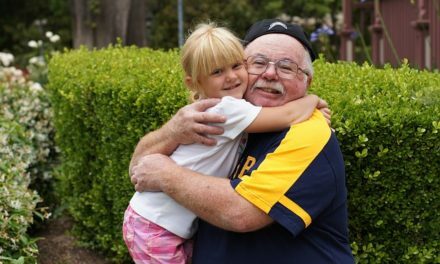 There are two primary areas where grandparents can have a meaningful influence on their grandchildren’s leadership development. The first is helping them create a reservoir of trust. 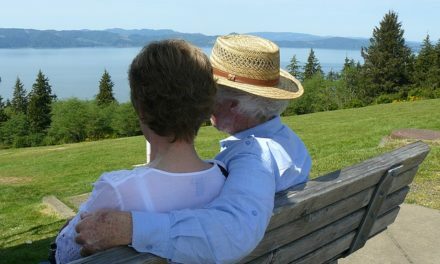 Being able to trust others is essential in all relationships, and critical to a grandchild’s future. Without developing trust, children can succumb to a fear-based lifestyle and way of thinking. But when trust is fully developed, their fears, challenges and difficulties can be addressed more easily, knowing that together you can overcome any obstacles and difficulties. Consistency in your habits and lifestyle. I have two close friends who were literally saved by their grandfathers’ involvement in their lives and the trust they developed over time. 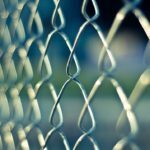 Each of my friends’ fathers were incarcerated, and as young men they found themselves fatherless, defenseless and in need. In each case their grandfathers stepped in, engaged in their development, and over time helped their grandsons become leaders. And when these two grandfathers died, both left their homes to their grandsons. These two men also quickly earned my trust; I would trust each of them with anything of value. It’s obvious they were endowed with trust by their grandfathers. Along with trust, future leaders need discernment. Without discernment, your grandchildren may be vulnerable to the whims of the culture, which seem to get stranger and unhealthier every day. In a world with many shades of gray, discernment is sorely needed. Teaching discernment means helping your grandchildren navigate between what is true and what is false, what is right and what is wrong. They will need discernment as they make all kinds of decisions throughout life: regarding their friends, their lifestyle, the media and entertainment they watch or listen to, the games they play, the money they spend, and ultimately, the life they lead. Where there is little or no discernment, our grandchildren can falter. 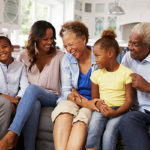 As grandparents, helping your grandchildren grow in discernment can be accomplished by telling stories about good and bad choices you have made and how they have impacted your life. My grandchildren love to hear me tell about my lack of discernment growing up—and they like to hear those stories over and over. One of their favorites is from a time in my childhood, right before Halloween, when I took two candy bars from a supply that the Girl Scouts were saving for their meeting. As a consequence, my father didn’t let me trick or treat that year. My punishment was to stand at our front door and pass out candy to all the trick-or-treaters. My grandkids smile with delight when I tell them what that was like, and it becomes a talking point for why we shouldn’t steal. 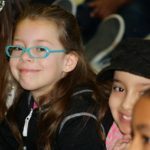 This is our challenge: At appropriate times in their lives, are you communicating to your grandchildren about the truth that has “set you free”? Are you looking for teachable moments that come along to briefly share with them about that truth? Are you open to sharing how that truth has set you free? Another important part of teaching children discernment is helping them contrast the real from the fake. 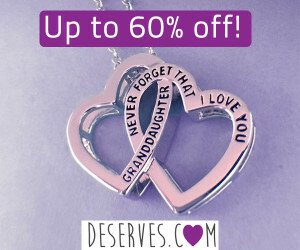 Things that are true and authentic should emanate from a grandparent’s speech and life. We can help keep them from being led astray by giving them lots of exposure to our integrity. Here’s an example using American currency. What’s the best way to train someone to spot a counterfeit $100 bill? It might seem wise to make the person aware of the common methods of copying the original, and then use fake bills as examples of what to look for. But actually, the primary method for training employees to spot counterfeits is a thorough study of authentic $100 bills. When someone is very, very familiar with the real thing, down to precise details, then it’s much easier to spot a fake. That’s how it is with us! We need to live authentically and stand for what we believe, and allow our grandchildren opportunities to be very familiar with us and our values. 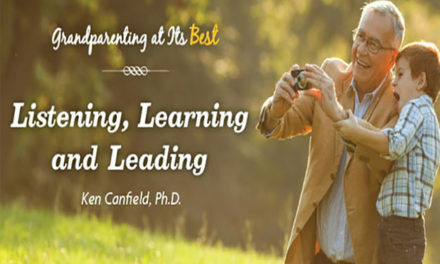 With these three aspects of grandparenting in focus—Listening, Learning and Leading—we can accomplish much. Putting these simple skills into practice can drive us to deeper considerations about our goals and purposes as grandparents. 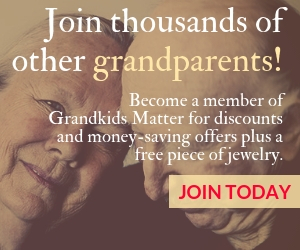 So, here’s a teaser for my “Grandparenting at Its Best” article in our next issue: If you were to craft a mission statement for your grandparenting, what would it look like? More specifically, what are your goals, plans and hopes for your grandchildren, and how are you fulfilling them? Writing such a document can be powerful. Until then, may your listening increase, your learning expand, and your leadership as a grandparent be intentional.